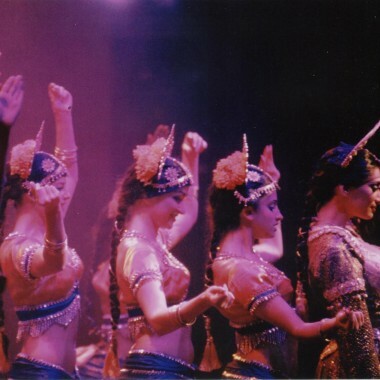 The Bollywood Dreams Dancers were formed following the closure of Andrew Lloyd Webber’s hit musical Bombay Dreams, which stormed London’s West End for two years from 2002 to 2004, when the show transferred to Broadway. The mostly British (or Anglo-British) performers who remained in the UK formed the group in order to continue to offer Bollywood type dance spectacles to audiences, old and new. Bold and brash, these spectacular routines leave audiences gasping for more! Just a quick note to say thanks to the Bollywood Dreams dancers that performed at our party on Saturday. They were fantastic and all our guests were totally ‘wowed’ by them. Thanks to you also for arranging the booking so efficiently.